This is reposted from Swallowtail Keepers Society blog. The blog is abandoned but the post is worth saving. Far more involved with saving lighthouses than I would have thought. (I did think about the weathering). Lighthouses are usually located in the face of storms, exposed on several sides to strong winds and sea spray, frequently difficult to get to and challenging to maintain. 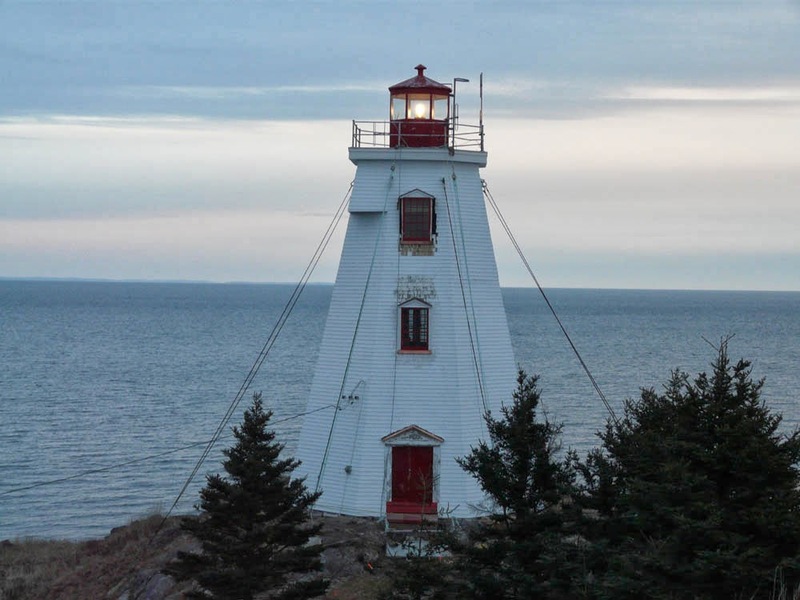 With lighthouses de-staffed or de-commissioned, budget cuts rampant, and maintenance minimal, it is hard to see these once well-maintained structures deteriorate to a point that they begin to crumble but it is becoming all too common. The magnitude of the maintenance or restoration, and the ability to get to the lighthouse is often overwhelming. We have been fortunate with Swallow Tail that ownership has been transferred, access is challenging but better than many, and through the support of the community and access to various sources of funding, restoration work has been possible. 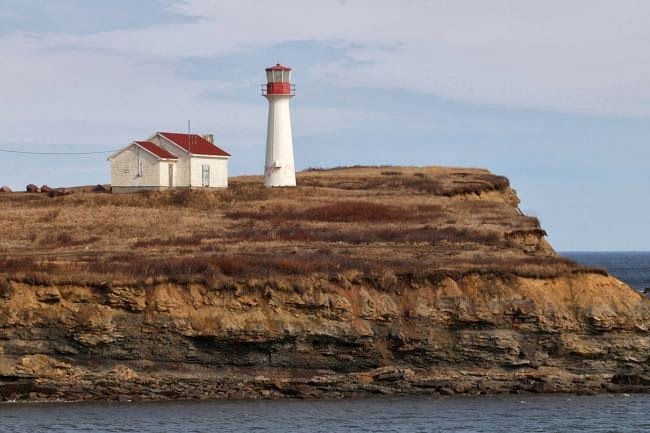 Unfortunately, in five months, three other lighthouses in the Maritimes have disappeared. Two collapsed during storms, the abandoned Fish Fluke Point on Ross Island decommissioned in 1963 but defied gravity for years (November), and Church Point on St. Mary’s Bay, NS, decommissioned in 1984 (March), and one burned to the ground, the remote fibreglass lighthouse at Point Aconi on Cape Breton Island (February). Fire was always a worry before lights were electrified. Elodie Foster, one of the light keepers at Swallow Tail, died from her injuries after her clothes caught fire while trying to start the burner for the light. More recently, electrical issues may be the cause of some fires because of the heavy salt presence and corrosion of electrical connections. Two electrical issues at Swallow Tail threatened to cause fires last fall and had no one been working in the lighthouse, the problems would have gone unnoticed until it was too late. 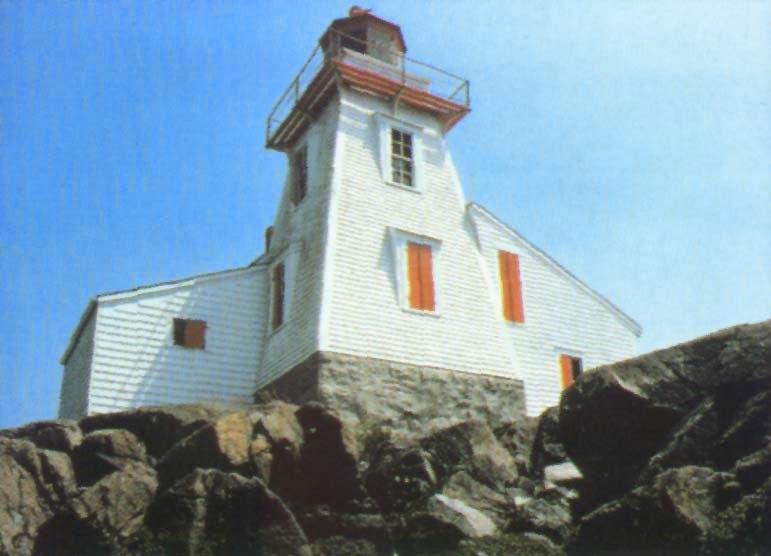 Vandalism has also been a cause of some fires and has plagued locations such as Partridge Island in Saint John, and may have been the cause of the grass fire at Swallow Tail in April, 2007, which threatened the lighthouse and keepers house. It has prompted some communities to install security cameras. 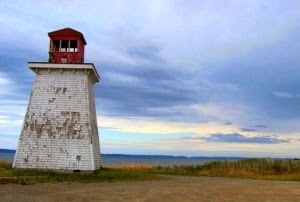 The ones at Swallow Tail can be viewed on the Village of Grand Manan website (www.villageofgrandmanan.com). 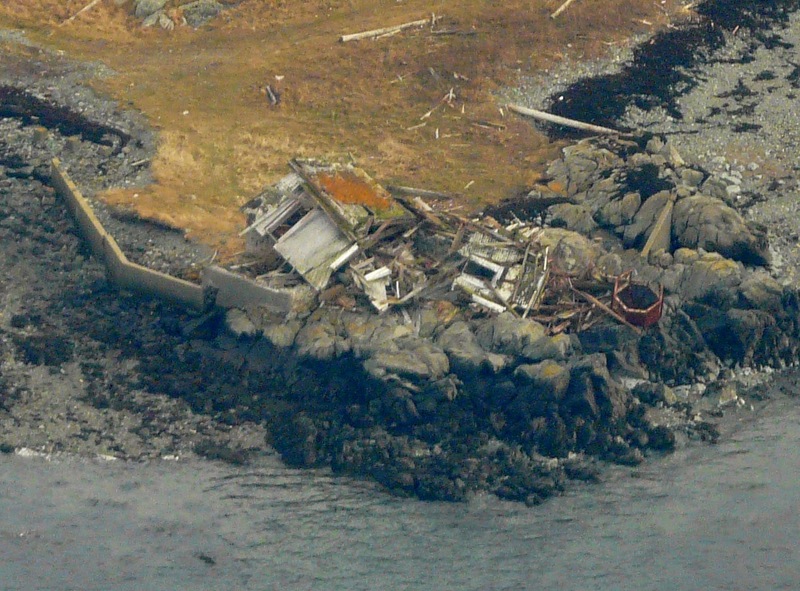 Collapsed Fish Fluke Point lighthouse as seen from the air in November 2013. Collapse was not thought to be an issue at Swallow Tail but once work began last fall, it became apparent that it could have been possible. The lime had eroded out of the mortar, making the mortar crumble. The stone foundation was slowly pancaking, with the stones being pushed outward. The eight guy wires and the massive concrete floor in the equipment room were the only things holding the tower upright with probably only five large stones in the foundation carrying weight. Had any of the guy wires failed, the tower would have begun listing or worse. To fix this, all the stones were removed, one side at a time, and then returned with new mortar between the joints. The large corner stones, too heavy to easily lift, were adjusted back into place. 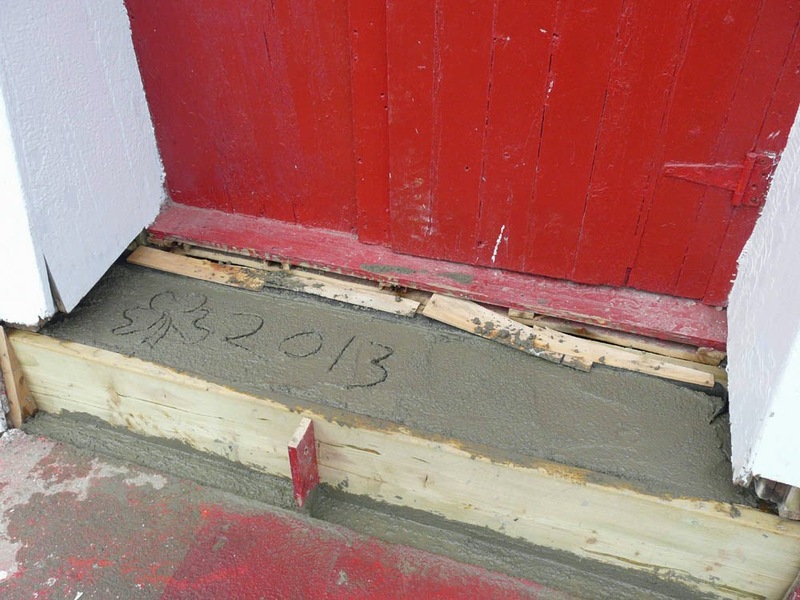 The foundation is now functional again and should last for many more years with minimal maintenance. Peter Devine rebuilding stone foundation at Swallow Tail, September 2013. 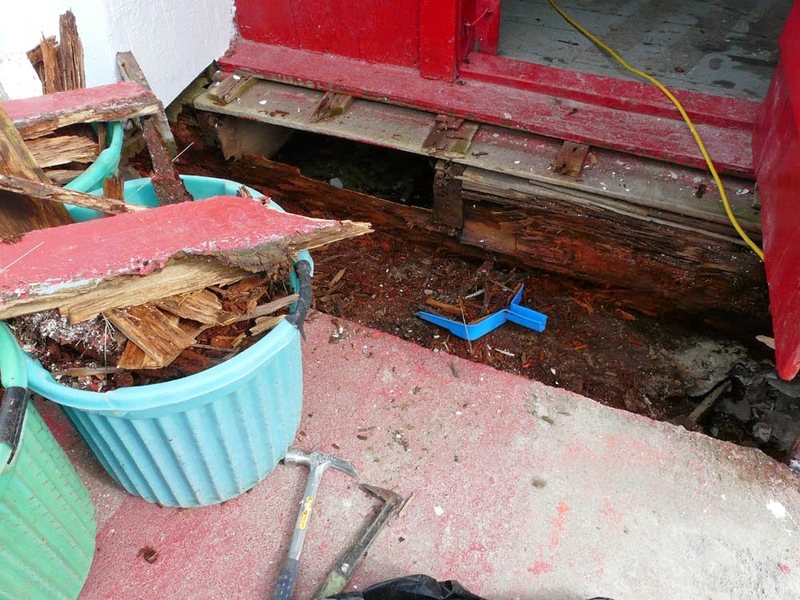 During this process, it was discovered that the large wooden beam under the front door had completely rotted away. The remains of the beam were removed using a dust pan. Instead of trying to fit a new wooden beam back in a very tight space between the large immovable concrete step, stone foundation and the floor joists, a concrete beam was constructed. One of the 1859 wooden pegs, used to hold the heavy timber structure together, was discovered in the crawl space during the work, looking the same as the day it was made. This was the only spot were the heavy timbers of the lighthouse had completely rotted. New concrete beam to replace rotted timber, September 2013. Salt corrosion is another challenge, rusting nails so they no longer do their job. When some shingles were removed on the northern side of the bell house, the boards underneath came off as well. 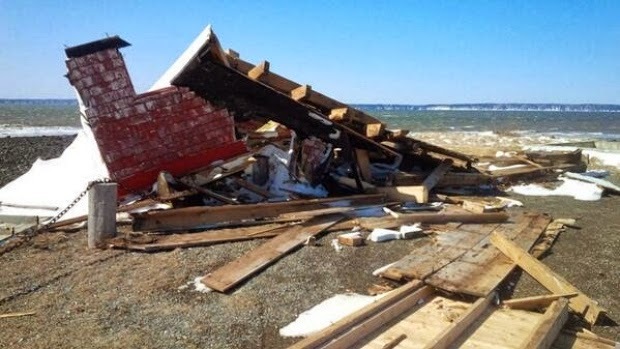 This was also an earlier problem with the boathouse and the entire southern wall began to fall off in large pieces as the nails disappeared and that wall had to be rebuilt. 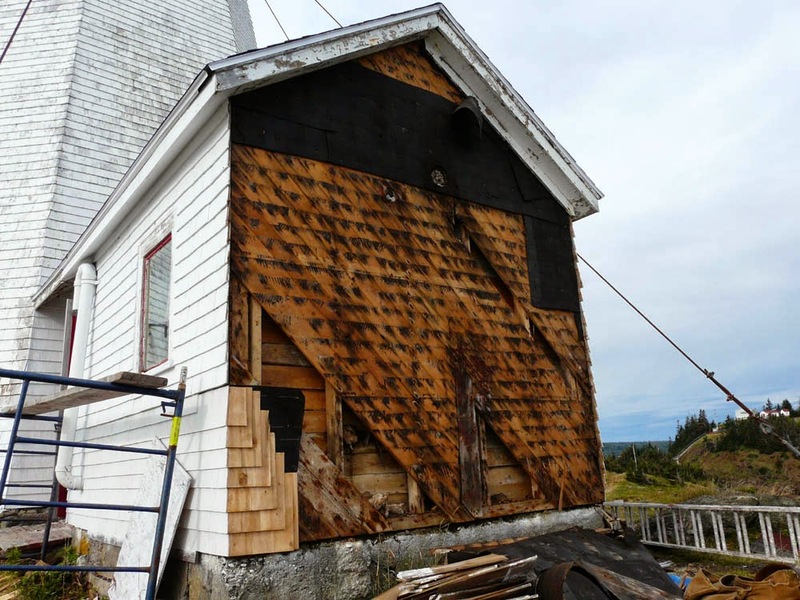 The shingles were stripped off the bellhouse, the boards renailed, and new shingles returned. Shingles on some sides of the tower were also falling out because the nails were gone. Face nailing to hold them in place during previous work only complicated the problem with water getting behind the shingles and rotting the wood. Several places on the tower, notably where the windows had been boarded up, were in worse shape than the rest of the lighthouse, even though the boards were only 40 years old compared to over 150. 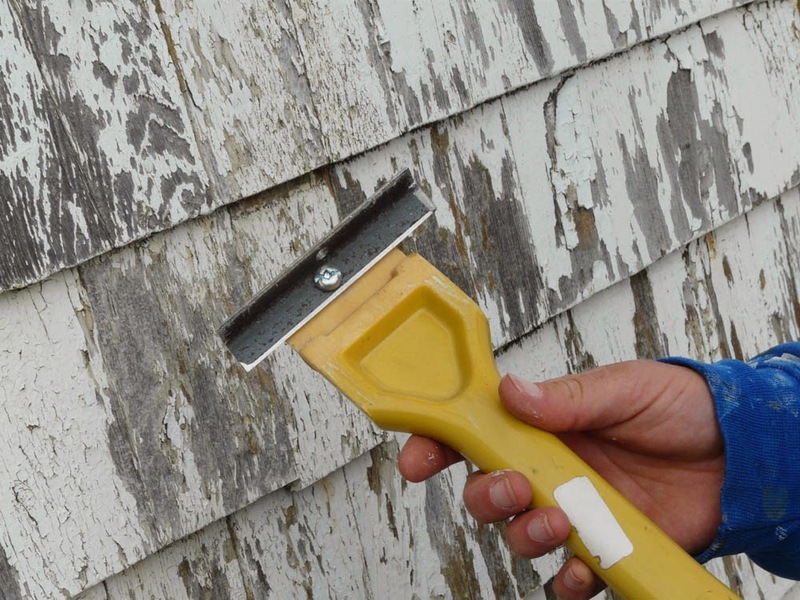 As the rot continued, longer nails were used to hold the shingles which further exacerbated the problem. It was very noticeable while scraping the sides where the problems were located because of the sponginess. Replacing the rotted wood and shingles where required, caulking the nail heads, plus one to two coats of primer and two coats of finish paint will prevent this for a few years. Because of the extreme weather conditions experienced on the point we hope in the future only the paint will suffer and not the wood behind. Northern wall of the bell house. The nails had rusted off and the boards had to be nailed back in place before the shingles could be attached. Areas on the lighthouse that needed repair because of water penetration causing rot. The area around the fog horn was because of caulking and flashing failures. The upper area on the tower was probably because of face nailing shingles allowing water to penetrate. Custom blade on paint scraper. 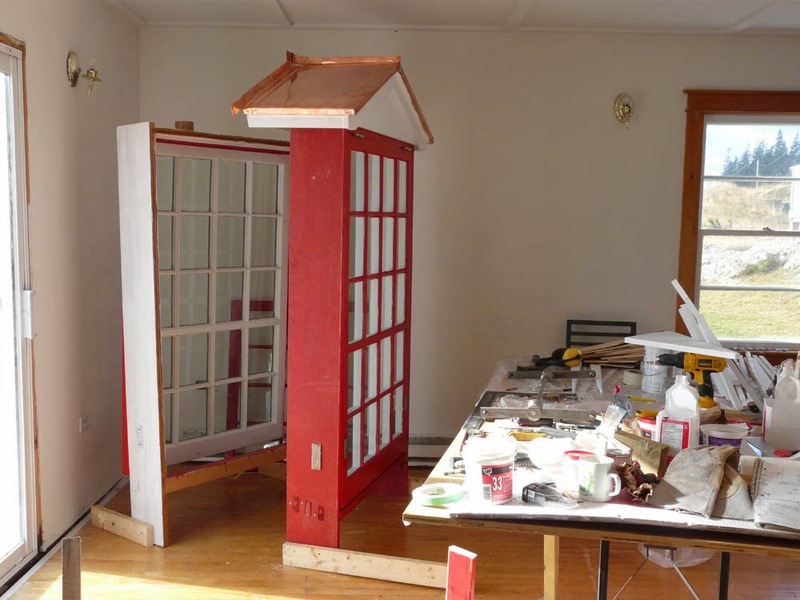 The entire lighthouse and bell house were scraped, primed and received two coats of paint. The new shingles were primed twice. Removing the windows in the tower in the 1970s was actually beneficial in many respects since there was little maintenance after the lighthouse was destaffed, but it changed the interior with no natural light or ventilation. 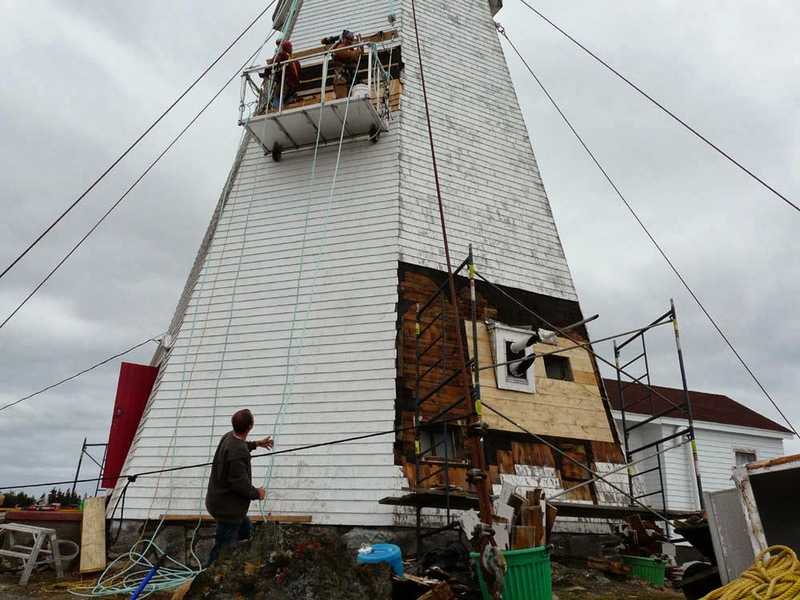 Having the opportunity to return the windows to the original locations in the lighthouse was a goal during the restoration but a challenge since everything had to be built from scratch. One window could not be returned because the current fog equipment is located in that spot on the first floor. Windows from an 1849 house in Ontario were donated by the owners, who had once worked at a lighthouse in British Columbia. They were honoured to have them reused at Swallow Tail. The storms and gablets (or dormers) were new construction from mahogany with copper flashing and sills in an attempt to resist the harsh climate. The interior has been completely changed with the additional of natural light and makes it a very pleasant inside. 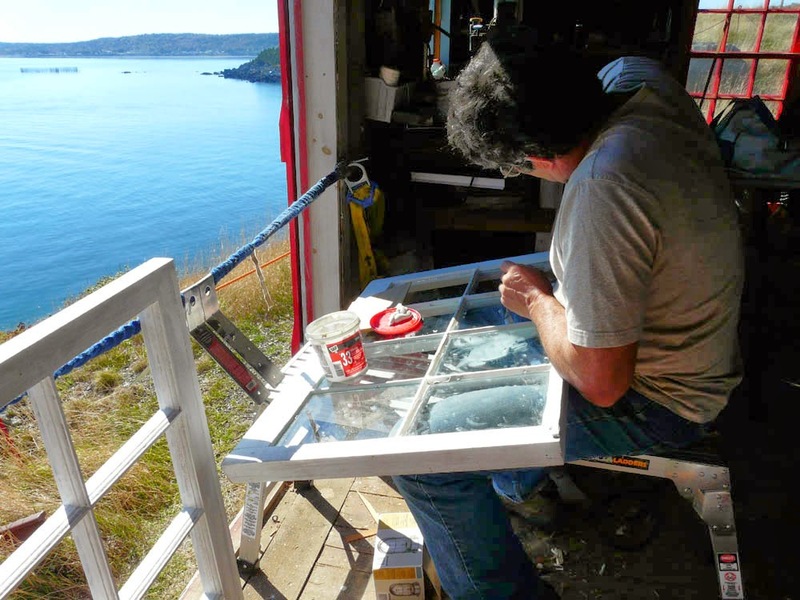 Reglazing 1849 windows donated for the lighthouse. The bottoms had to be cut down to 8 from 12 panes. New glass was installed in each window. Window unit – gablet with storm, all new construction. Windows restored on the southern side of the lighthouse. 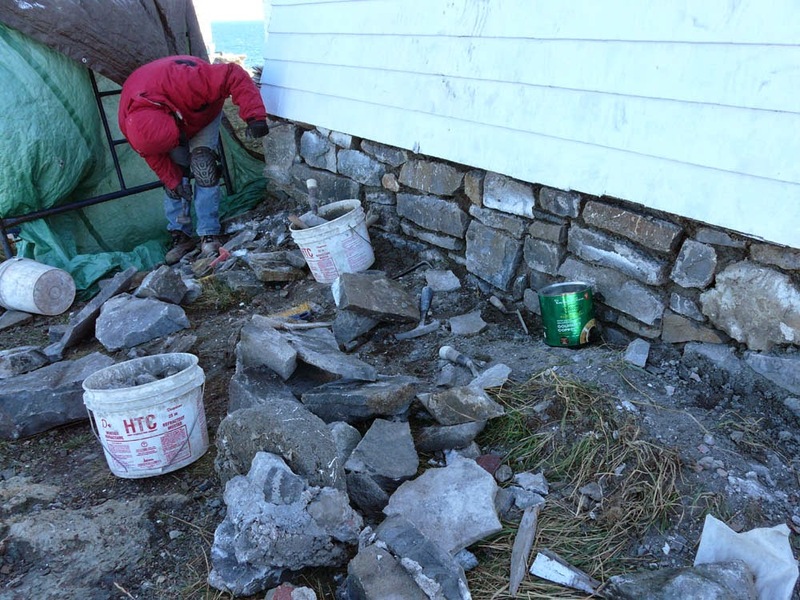 The harsh winter weather stopped work in mid-December at the lighthouse. Work will begin again sometime in April. The windows and interior will be completed including repairing the lathe and plaster and painting, the boardwalk from the keepers house (cabled in place to protect it from the strong winds) will be built, and museum displays installed. We are hoping to have the lighthouse open again this summer. 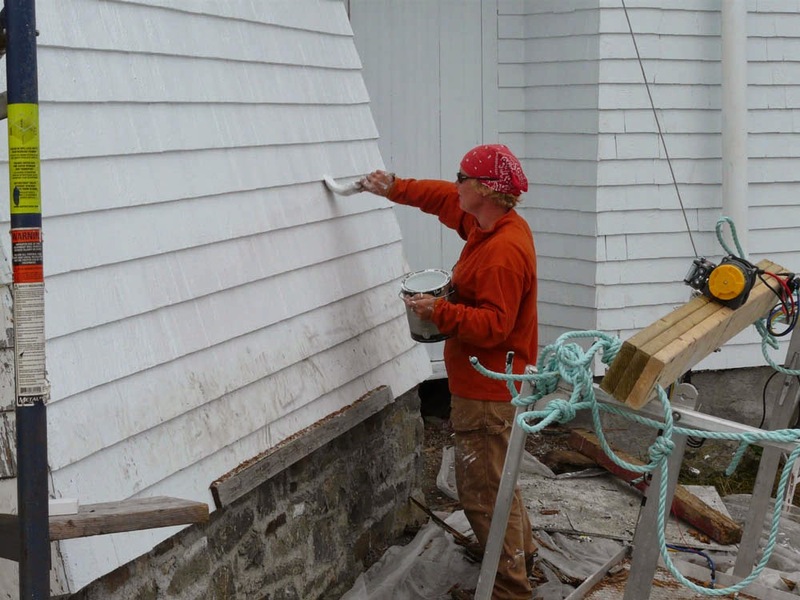 Restoration work could not have been possible without the financial assistance of the Atlantic Canada Opportunities Agency, Regional Development Corporation, New Brunswick Built Heritage, Village of Grand Manan, Grand Manan Rotary Club, and generous donations. and so many other small, old and taken for granted parts of the city streets? What can you find in your own area which has been around awhile and gone unnoticed? The first telephone boxes, a porter’s rest from 1861 or a street lamp powered by sewage – just a few of the things we can walk past every day in London without often noticing them. Have you ever noticed the smallest Listed structures in London, the K2 phone boxes? Can you see the praying mantis? There were several of them around this yard. I don’t know if this house is still there. It seemed to be the wreckage after a fire. Hopefully the owners were all OK and had the insurance to enable them to rebuild. I think this was outside of Shelbourne. (My spelling of the town name may be wrong). A lot of people had taken photos of this house. It was just chance that I came here as it was getting dark, but not too dark to get photos. I’ve heard this house is now gone, destroyed by vandals/ fire. 335 Yonge St., Toronto is gone now. The former Reynolds Block/ Edison Hotel from the 1950’s, from the 1970’s and thena more recent photo before the fall of one outside wall followed by the fire which finished it. In the photos it seems to be called the Edison Hotel but most of the news sources referred to it as the Empress Hotel. Urban Exploration: Don’t Hurt the Spiders! If you explore empty, forgotten and abandoned places you will be among spiders and other creatures. Just accept it as a fact. I do not understand spider hatred. What has any little spider ever done to you? People see a photo of a few spiders and start talking (ranting) about demolishing the building, setting it on fire, etc. Are they crazy?! I like spiders. They eat other insects and in general they prefer to avoid larger animals (like people). Yes, there are some dangerous spiders. Not many here in Ontario. I have seen a black widow spider. I watched it for awhile and did not try to pick it up, set it on fire, stomp on it or in any other way bother it. Take only photos and leave only footprints. Leave the spiders alone, don’t take their lives. Spiders and their web do add greatness to photographs when the light is right. Posted on June 8, 2015 November 7, 2017 Categories Urban ExplorationTags animals, creatures, fire, Urban ExplorationLeave a comment on Urban Exploration: Don’t Hurt the Spiders! My Mother sent me this in email today. Keep reading, it gets more interesting as it goes along. If you’re young and hip, this is still interesting. Where did “Piss Poor” come from? Interesting history. Most people got married in June because they took their yearly bath in May, and they still smelled pretty good by June.. However, since they were starting to smell, brides carried a bouquet of flowers to hide the body odor. It was the only place for animals to get warm, so all the cats and other small animals (mice, bugs) lived in the roof. That’s how canopy beds came into existence. Hence the saying, “Dirt poor.” The wealthy had slate floors that would get slippery In the winter when wet, so they spread thresh (straw) on the floor to help keep their footing..
As the winter wore on, they added more thresh until, when you opened the door, it would all start slipping outside. A piece of wood was placed in the entrance-way. Hence: a thresh hold. Every day they lit the fire and added things to the pot. They ate mostly vegetables and did not get much meat. They would eat the stew for dinner, leaving leftovers In the pot to get cold overnight and then start over the next day. The combination would sometimes knock the imbibers out for a couple of days.. When reopening these coffins, 1 out of 25 coffins were found to have scratch marks on the inside and they realized they had been burying people alive. So they would tie a string on the wrist of the corpse, lead it through the coffin and up through the ground and tie it to a bell. We’ll be friends until we are old and senile. Then we’ll be new friends. Posted on January 25, 2014 Categories UncategorizedTags animals, fire, food, graveyard, History, people, REALLeave a comment on Where Did “Piss Poor” Come From?